Congratulations Minduli Weeraman for an absolutely brilliant performance at the 2018 edition of the Berthe Mouchette French Competition! She won not just 1 but 3 awards! What a well-deserved success! All the more remarkable because Minduli is a Year 8 student who was participating in the Year 9 Competition! Coach Marilyne is delighted that Minduli’s great progress is recognised. Congratulations also to Elise (Year 7) and to Rugi (Year 10) whose great performance at their school levels were noted. Both girls were selected to participate in the National level competition for their year levels! They may not have won a prize in the final phase but they worked really hard and their poetry recitals were excellent. Je tiens à saisir cette occasion pour vous remercier de tout ce que vous avez fait. Je me souviens la première fois que je suis venue à vous en année 5 avec un coeur lourd. J’ai amélioré depuis, grâce à votre approche amicale, l’excellent enseignement et l’amour maternel. Reciting poetry is a very French exercise in which every French school kid / student engages every year. Here in Melbourne, the Berthe Mouchette French Competition gives the opportunity to learn and recite a poem to all students from Year 3 to 10 who are learning French. Every year we help all our students prepare for the competition, first at their own school level, then at National level if they get selected for that Final. 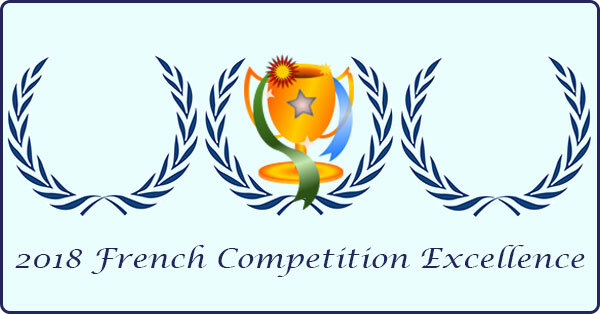 In addition to the poetry recital, from Year 9 to 12, the Berthe Mouchette French Competition includes some challenging tasks: A written exam for year 9 to 12 and an oral exam for years 11 to 12, in preparation for VCE. Listening and responding skills, reading and responding skills plus grammar/writing skills are all tested in line with expectations for each year. There Is More To Reciting A Poem Than Knowing The Words! The first step is to select the poem that, we help them choose the poem they will recite, based on their own personalities, interests, and pronunciation skills. 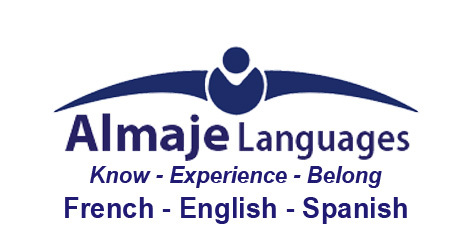 Then we help them understand the depth of meaning of the poem; we give them tips to learn it more easily, improve their pronunciation and diction. Finally the difference between good and great comes from express the right feelings throughout. If you, like Minduli are “hungry” for great results, and want to achieve a perfect score in French at VCE or IB level, we will be happy to help you achieve your objectives.